Welcome to the cottages Medvědín in Spindleruv Mlyn! We are offering two separate cottages with a total capacity of 19 beds. Cottage No.1 has 10 beds. Cottage no.2 has 9 beds. 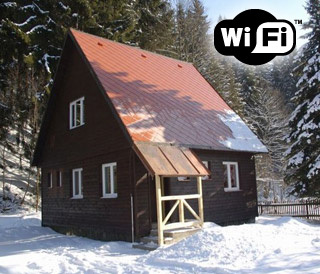 Cottages are situated in an exclusive location 150 m from the bottom station of the four – Medvedin chairlifts, ski lifts which are associated with skiing in the Upper Mísečky. Another advantage of the position is 150 m proximity to the water park with various water attractions. 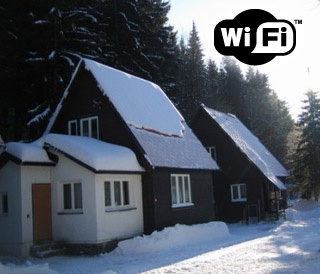 Distance to the center of Spindleruv Mlyn is about 700 m. The cottages are built in a quiet spot in the forest, 700 square meters land is fenced. The land is flat with a smooth arrival and parking. Parking is directly in challet.